No matter if you choose to be called Dad, Papa, Da, Ba, or Pop. Your role in the pregnancy, birth and postpartum experience for your family is a very valuable one. There is nothing quite like the bond between the two people that create a life together- regardless of how that life was created. The choice to bring another human being into this world and care for them is a huge one, and the two of you made a great choice! First of all, I often tell my pregnant clients, “Dad is way less pregnant than you.” and I mean it. From a physical standpoint, the massive hormonal shifts happening in early pregnancy are quite a crazy ride that the pregnant person *FEELS* much sooner than the pregnancy is visible to the outside world. Sure, Dad is along for the ride too- but he isn’t physically feeling what the pregnant person is. Trust me when I say “Dad, you don’t get it yet.” Yeah, you can be excited (or scared, or freaked out or whatever…. ), but until the pregnancy is visible on the outside (fuller breasts, more plump derriere, a baby bump…) it may not seem like its really happening just yet. So, how do you fit into the picture if you aren’t as pregnant as your partner? Easy, just do what they ask of you. Do they need a nap? Figure out how to help them sleep and snuggle with them while they drool and snore. Are they are puking their guts up? Ask them what they could tolerate- it may be something like lemon flavored La Croix- make sure they have an endless supply. Do they *need* a very specific pizza from that place far across town? Do your best to accommodate that craving. They’re crying about the car commercial on Hulu? Hand them the tissues and a few pieces of Dark chocolate. Maybe their back hurts or their feet are achy? Give them a sweet massage and maybe run them a warm bath. Why is this important? They’re growing a whole entire HUMAN for you, that’s why. Here’s why: As a formerly pregnant person myself, I NEEDED to know I wasn’t the only one having big thoughts and feelings about bringing another human into the world. I needed to know that I had someone on my side that understood my emotions, someone to commiserate with me and come up with a plan of attack to handle all the decisions I had swimming around in my head. It helped me feel safe and take care of. Plus, I know my husband needed the same things from me. You guys are a team. You know each other, this helps you process through and move forward, together, as parents. As you get closer to birth (and sometimes it can seem like it sneaks up out of nowhere because you’re less pregnant than the pregnant person, remember?! ), you may start to realize that you know abso-freaking-loutely NOTHING about birthin’ no babies. That’s where we, the doulas, come in. Doulas know birth. All kinds of birth. Planned cesareans, unmedicated births, epidural births, emergency cesareans, we got this. You? You know your partner. You know what their thoughts and feelings are about this baby(or babies). You know their history. You know how to get them to relax, and how to make them laugh, and how to touch them so that they feel safe, loved and cared for. This makes our job as doulas so much easier. You and I? We work together. I guide you on what’s happening as the labor progresses. I assure you when it seems like things are chaotic and intense (because that is birth sometimes), or when it seems like things aren’t happening, or when the medical team enters the room and starts suggesting interventions that you don’t remember discussing. Most of all though, I help you support your partner the way that you know how, the way that they need you to support them. I also support you when you need to get away from it all because holy crap, you’re having a baby too and wow…that’s a lot. 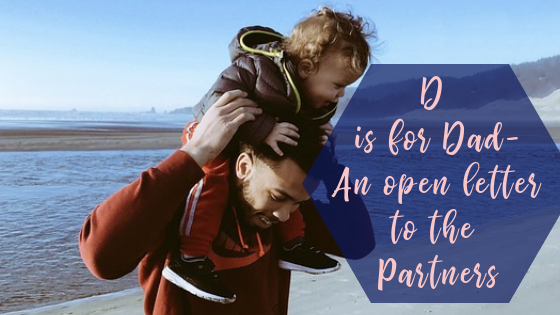 It’s ok to step back and have a moment, or 20, to lose it and freak out, or grab a nap, or eat something because you know that the doula will be there with your partner. Now once the baby is here…. that’s a different story. Sort of. Your responsibilities change a bit, but you can still be involved in the caring of your partner and your baby. If its possible for you to take Paternity leave- do it! Being able to be with your family in those early days is such a special thing. You will be able to ease the physical demands your partner is experiencing simply by being an extra set of hands to tend to the household chores, diaper changes, feeding, bathing and bonding with your baby. It’s exhausting being a new parent. Being around allows your partner to sleep when they’re able, not just when the baby sleeps. Not able to be home, or you know that you’re gonna need some extra help? That’s where the doulas come in, again. We love helping families adjust to their new normal. Whether during the day or overnight, we provide a welcome reprieve so that everyone can rest, and bond. The coolest part? We LOVE talking about emotions and feelings, especially after a baby is born. Pro tip: its not always the pregnant person (now postpartum person) that has big feelings around having a new baby around. We listen to dads all the time. They’re worried about their partner- that they’re not eating/sleeping/bathing enough. They worry about being able to bond with their babies, they worry about providing for their family. We get it. We listen, and we offer resources if you need that kind of thing. So, Dad. You and me? We are in this together. I promise I’m not here to replace you. I need you to support your person. They need you to support them. My job is just to make that easier for you. What do you say? You ready to talk about how we can work together? Fill out our contact form to get the ball rolling, and I’ll see you soon.